12v Adapters vs. Inverters: Which Is Best? Check your power adapter to see what input voltage and amperage your device needs. Although you can plug almost any electronic device into an inverter, a handy gadget that converts a 12v DC input to a 110v AC output, that solution isn't always the most elegant or best. Some devices won't run correctly on an inexpensive modified sine wave inverter, some delicate medical equipment can be damaged, and some electronics run much more efficiently if you cut the inverter out of the equation entirely. We're talking about electronics that run on DC power that's provided by a rectifier, which you may know as an "AC/DC adapter," "wall wart," or another equally colorful name. These devices can be powered in your car by a 12v adapter plugged into a 12v socket (either a cigarette lighter or an accessory outlet), and there are a few reasons that you might want to consider going that way. Although it's easy to plug a regular AC wall adapter for your laptop or cellphone into a car power inverter and call it good, it's actually wasteful. Since no inverter is 100 percent efficient, some energy is lost when converting from 12v DC to 110v AC. When you plug a DC rectifier into your inverter, you reverse the work that the inverter did and lose even more energy in the process. Losing energy might not seem like a big deal, but it depends on how you use electronics in your car, truck, or RV. If you only plug it in when the engine is running, the only place you're going to feel the pain is at the pump because the additional power usage results in some decrease in fuel efficiency. However, a 50 percent loss in efficiency can make a huge difference when you're camping or otherwise using your electronics when your vehicle is parked. If you're sucking twice the power out of your battery that you need to, you're going to run it dead twice as fast. Although any device that uses an AC/DC rectifier can use a 12v DC adapter, it isn't always easy or intuitive to find the right one. If the manufacturer doesn't offer one, there are three factors that you need to consider: plug size/style, output voltage, and output amperage. In terms of 12v adapter plugs, a few size characteristics determine whether one is going to work with your device. The outer diameter of the barrel, the inner diameter of the barrel, length of the barrel, and thickness of the pin all affect whether a plug will fit and make proper electrical contact. Universal adapters typically come with an assortment of plug tips, and they often list which devices they work with. If you're unable to find one that specifically mentions your device, then you may have to take some measurements and do a little research to find the right one. If you look at the AC/DC adapter or wall wart that came with your device, you should be able to find its voltage and amperage outputs. 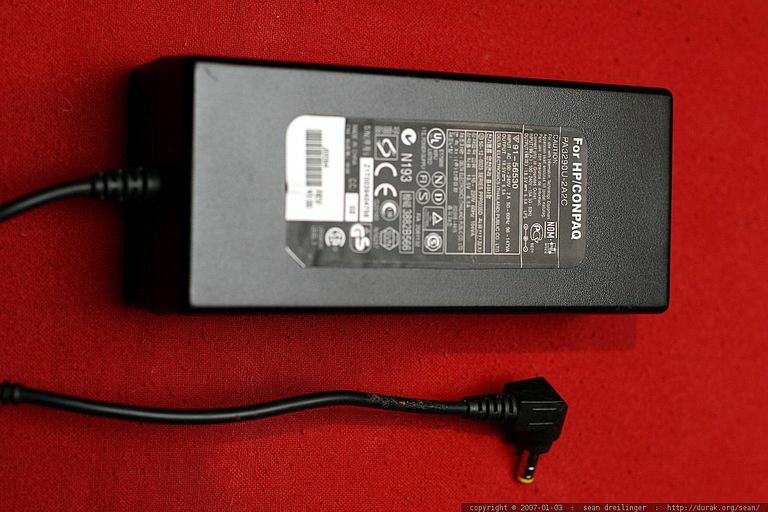 To find a 12v adapter that works with your device, look for one that puts out the same voltage and amperage. In some cases, you may be working with a range instead of a hard number. Universal adapters are typically capable of outputting a range of voltages and amperages to offer the widest coverage. Both of these issues are moot if you're dealing with a device that uses the USB standard. Most modern cellphones and tablets use this standard, as do other devices such as GPS navigation units. The general rule of thumb is that if it has a mini or micro USB port, you can probably power it with just about any 12v USB adapter, although in practice, things are a little more complicated than that.